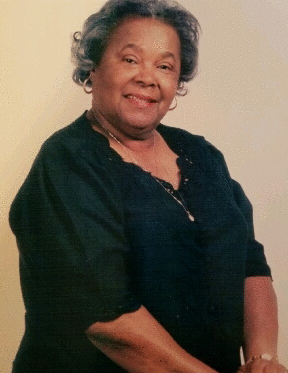 Mrs. Christia Bethel Ratliff - Hudson was born on March 11, 1929, to the late Joseph and Allie Maude Collins Ratliff. Christia was the oldest of seven children. Three sisters and two brothers who preceded her in death, June Anna Ratliff, Betty Jo Ratliff Moncure, Berenice Maude Ratliff Cottrell, Robert "Rip" Ratliff and Douglas Ratliff. At an early age, Christia joined St. James Baptist Church under the leadership of the late Reverend T.C. 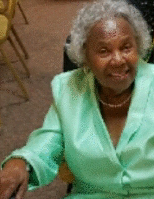 Simmons where she was a faithful member throughout her life. Her church involvement included being a member of the Junior Matrons and Matron League. The last 5 years she followed her nephew Pastor Keith Ratliff, Pastor of Calvary Christian Fellowship Church. In 1954 Christia married Charles O'Neal Hudson; they were married until his death in 1995. To this union one son was born, Micheal O'Neal Hudson. After the death of her husband's mother, Christia also nurtured and reared Judy Hudson-Dunlap, Beverly Hudson Avery (Deceased), Herbert Hudson, DeMia Avery, Gerra Avery, Renee Ratliff, Douglas Omar Ratliff, Jarques Ratliff, and Carolyn Stamp Varnado. Christia received her early education from Sallie Reynolds Elementary and Lanier High School. She earned her B.S. Degree in Elementary Education from Jackson State College. Christia later obtained a Master's and Specialist degree in the area of Education from Jackson State University. Her professional career spanned over 35 years as a teacher at Anguilla Training School, Anguilla, MS. Martin Elementary and Baker Elementary Schools in the Jackson Public School District. In 1984 she retired from the Jackson Public School District to take on the awesome job as "Grandma." In 1986, Christia co-founded the Ratliff Day Care Center, Inc. with her sisters. The center provided services to individuals and families seeking a loving, safe and teaching environment for their children. 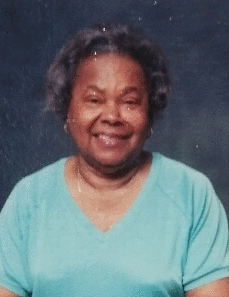 Christia was a life member of Zeta Phi Beta Sorority, Inc. Love and Fellowship Prayer Band, Progressive Arts and Literary Federate Clubs, Mississippi State Federation of Colored Women's Inc., Jackson Retired Teacher's Organization, West Central Jackson Improvement Association, and the Washington Addition Neighborhood Association. Christia loved to dress up, Travel near and far. All you had to say was "Let's go." On Sunday, September 9, 2018, Christia departed her earthly life at Richardson Methodist Hospital in Richardson, TX..
Visitation hours will be held on Friday, September 14, 2018, between the hours of 12-6 p.m. at Peoples Funeral Home. 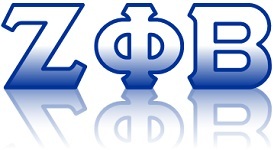 A ceremony will be held by the Zeta Phi Beta Sorority, followed by family and friends hours. Funeral service will be held Saturday, September 15, 2018, at 10:00 a.m. at New Jerusalem South located at 168 Colonial Drive - Jackson, MS 39204. Interment will follow at Garden Memorial Cemetery. Pastor Keith Ratliff, Sr. will deliver the Eulogy.